How did high school students  using innovative sensors  promote the recovery from an environmental disaster? Fukushima Prefecture has achieved a remarkable recovery after the nuclear accident in 2011. Thanks to extensive clean-up, more than 97% of the region is at natural background levels; the area as large as the State of Connecticut. However, negative perception still persists across Japan and the world, causing economic and psychological damages in the region. Rising up to this challenge, a group of local high-school students teamed up with Professor Ryugo Hayano at the University of Tokyo in 2015 to collect their own radiation data using a new portable sensor, called D Shuttle. Their results  featured on Forbes  have shown that the radiation level in Fukushima is not at all higher than other places in the world. These students are pioneering an approach to tackle environmental disasters; new technologies and democratizing data can empower communities and support socioeconomic recovery. This event features presentations by Professor Ryugo Hayano and three high-school students from Fukushima. They will talk about their motivation and experiences in this project as well as their daily life in Fukushima. This event will also include the talks by two American journalism students who participated in a two-weeks program in 2015 organized by the Dilena Takeyama Center at San Francisco State University and Fukushima University, in which they documented the daily life in Fukushima, including those living at temporary housings. After the talks, some Japanese food and drinks will be served in the gallery. Please enjoy Fukushimas folk song by Koko Komine and some beautiful photos by Jun Takai with traditional meal. Professor Ryugo Hayano is currently the professor of experimental nuclear physics at the University of Tokyo. He has been the spokesperson of an antimatter research team called ASACUSA, at CERNs antiproton decelerator facility, since 1997. In 2008, he received the Nishina Memorial Prize, the most prestigious physics prize in Japan, for his study. He earned his PhD from the University of Tokyo in 1979. Since March 2011, his tweets related to the Fukushima Daiichi accident attracted some 150,000 followers; his activities in Fukushima include systematic measurement of school lunch for radiocaesium, study of internal exposures using whole body counters, development of a whole-body counter for small children (BABYSCAN), and comparison of external radiation doses of high school students living in Fukushima, outside of Fukushima, France, Poland and Belarus. 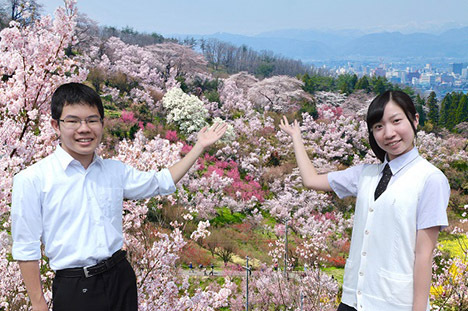 Shunya is a second-year high-school student in Fukushima High School, Fukushima City, Japan. He leads the Earth Science Component of Super Science Club in his school, investigating various aspects of earth and environmental science, including the geological origin of local mountains and radiation measurements in the local community. Currently, he has been studying the issues related to decommissioning of the Fukushima Daiichi nuclear power plants. He played an active role in the Radiation Protection Workshop in Paris in March, 2017, presenting the results from his research on decommissioning. Honoka is a second-year high-school student in Fukushima High School, Fukushima City, Japan. In her extra-curriculum activity, she has been investigating food safety issues in the Fukushima prefecture such as the radiation measurements in rice and vegetables grown in the region as well as fish caught in the Pacific. Her mission is to inform people in Japan and around the world about the true situation in the Fukushima prefecture, including the safety of food and environments. She has presented her results in the Radiation Protection Workshop in Paris in March, 2017. Ryo is a second-year high-school student in Futaba Mirai High School, Iwaki City, Japan. He was born and raised in Okuma village which is less than 5 km from the Fukushima Daiichi nuclear power plant. He has been evacuated for the past six years. He is determined to contribute to the recovery from this accident and redevelopment of the region. He has been actively engaged to develop courses in elementary and middle schools for exploring the better approaches for the recovery and redevelopment from the next-generation perspective. Recently, he has been studying the decommissioning of a damaged nuclear power plant.